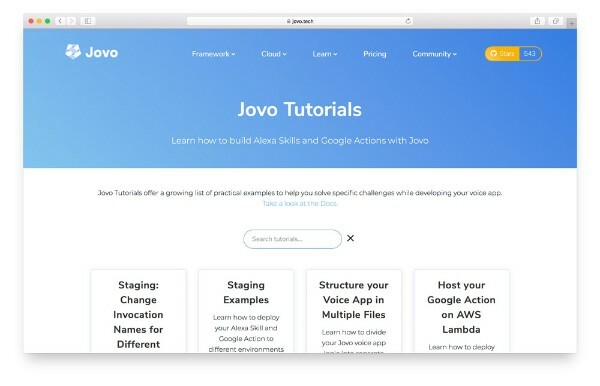 As some of you may know, Jovo is an open-source framework (you can find the code here). 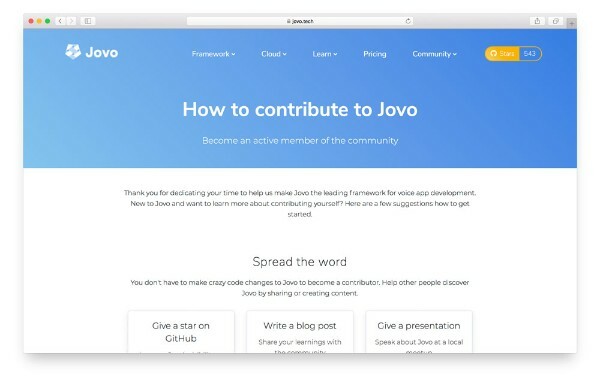 This means it's free of charge and heavily relies on a supportive community of contributors. Below are a few things I learned over the last few months. And giving away t-shirts isn't one of them (we're in the process of printing some though, so stay tuned 😜). Of course, having a tool people actually want/need to use is the first step. However, what we noticed over the last few months is something maybe even almost as important: content. Many open source communities disregard this and don't count "writing docs" as real contributions. There are now a lot of other similar libraries out there, however, they don't have as many contributors (and presumably users). 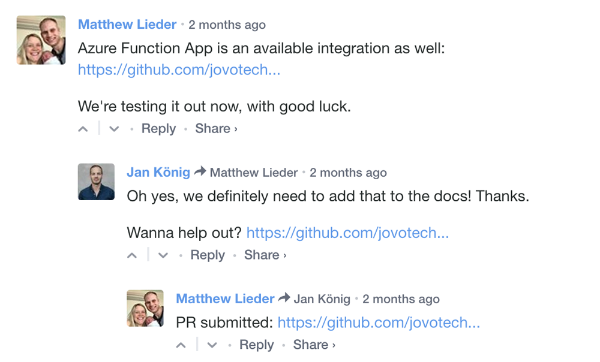 I believe one of the reasons for this is that they didn't invest as much time in docs and tutorials as we did. The more your community notices that you care about making it as easy as possible for them, the more they want to contribute. I even noticed that the frequency of tutorials I published to our Youtube channel correlated with the number of contributions we got from our community. It doesn't help how willing people are to contribute if they don't know what to do. Some people even reached out, asking us how they can help. We try to react to contributions extremely fast and merge them quickly. Right now, our main repository doesn't have a single open pull request. This encourages potential contributors that the time investment is actually worth it. This might sound too simple, but I realized how happy people are to help if you just plainly ask them. A slight nudge can really help sometimes. Working together with many smart people is very exciting, and I encourage anyone to not downgrade terms like "community management." It's the core of many businesses and shouldn't be underestimated. 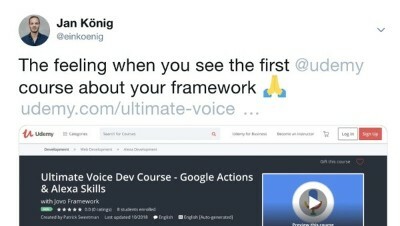 PS: I finally managed to launch my personal website (= newsletter archive): https://jan-koenig.com/. Started working on this almost 2 years ago, as mentioned in this episode of the newsletter.